Welcome to Instasize - we exist to provide social creatives with the tools, education, and opportunities they need to grow. 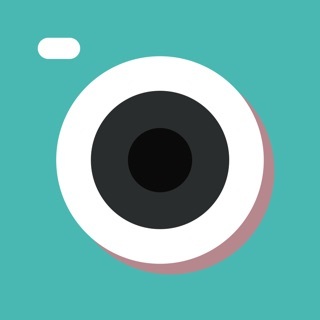 Join the millions of content creators who trust and use Instasize for fast, powerful, and easy editing on mobile. Edit images on the go transforming them from unedited pics to Instagram ready posts in seconds. The days of switching back and forth between multiple apps to achieve one final edit are DONE. More editing tools in one place means quicker editing, leaving YOU more time to focus on -> your next photo upload, engaging with followers, and building your presence! You don’t need to be a big time influencer to create big time edits, anyone at any skill level can add a personal + professional touch to the photos they post online. With over 80 photographer inspired filters, you’re bound to find a filter that fits the aesthetic you’re looking for. Bring a crisp HD look to any photo, regardless of what you used to shoot it. Maintain a cohesive feel across ALL of you social platforms. Exclusive filters released monthly to all premium members. Custom editing made easy - adjust sharpness, brightness, exposure, contrast, and much more. If you’re looking to finely adjust details within your photos, we can help you do that. Instantly resize photo and videos to fit perfectly on every social network. Choose formats for Instagram, Instagram Stories, YouTube, Facebook, and more. Share your photos FULLY, in the ways they were meant to be shared. Instantly combine multiple photos into one with our easy to use collage maker. Choose from a plethora of photo layouts, move images around, add patterned backgrounds, text, etc. - your creative potential is endless. Truly make memories come to life by creating one of a kind collages for friends and family. Acne spot removal - make temporary blemishes disappear with our acne spot remover. Vibrance - make smaller details POP with our vibrance tool. Bring attention to certain areas of your photo by making them stand out a little bit more. Whiten - make your smiles shine, whiten the white of your eyes to bring your photos a more finished appearance. You can also use our whiten tool to desaturate backgrounds. Glow - your skin has never shined like this, glow up baby. Add text to your photos and videos, choose from over 50 unique fonts. Our text editor comes equipped with 10 text design enhancements - perfect for crafting eye catching announcements for social media. You don’t need a design degree to make it look like you know what you’re doing with social media. Exclusive fonts available for premium subscribers. Unlock your creative potential with Instasize Premium. An upgrade to Instasize premium will instantly unlock exclusive filters, fonts, and editing tools that are updated MONTHLY. Yes you read that correctly, we give you new features monthly when you’re a premium subscriber. Experience the best photo and video tools that have been made specifically for content creators. 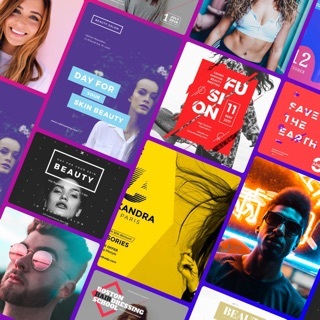 Premium is a $4.99 USD/monthly subscription that provides access to our entire collection of filters, beauty retouching tools, and professional fonts - updated monthly. This subscription auto-renews at the end of each month term at $4.99. Payment will be charged to iTunes Account at confirmation of purchase. The subscription automatically renews unless auto-renew is turned off at least 24-hours before the end of the current period. Account will be charged for renewal within 24-hours prior to the end of the current period. You may manage your subscription and turn off auto-renewal by going to your Account Settings after purchase. Any unused portion of a free trial period will be forfeited if you purchase a subscription. + New Easter borders - Peeps, pastels, and eggshells (well, eggs, but eggshells rhymed) are now ready for download. Perfect for Instagram Stories resizing (they make great backgrounds) as well as feed usage! + New Coachella inspired borders - create content that cultivates the VIBES. + New video formats are now ready for your resizing needs. + New Tray Design - the inside of your Instasize app may look a little different, and we’re excited to hear your feedback on this UI/UX design improvement. Collage is now accessible through your main editing tab bar. I installed instasize a very long time ago because I could edit videos as well as pictures using cool filters and editing tools. I do remember that I had problems with ads in the past and that I was working with a very limited editing and filter selection, which made me extremely sad. So I deleted the app. It resurfaced on my dash because some of my friends started downloading this app. It was advertised so well that I thought of getting this app again. I was offered over 80 filters and cool editing tools and I could not believe it. So I downloaded it and I instantly regret it. In order to use the app to its full creative extent, I have to pay unnecessary money. I have an even more limited amount of filters than when I first downloaded the app, and I can barely even get through editing a picture without so many ads popping up. Honestly, it’s like the app is infested with ads. I would have considered the continual use of it bad there been an upfront price I could pay instead of a subscription. This ain’t some high end product deserving of even considering a subscription. It’s best to just stick with VSCO because there at you least have a good amount of filters, there aren’t ads, and no subscription. They have options to purchase filters and the prices are manageable. This app has disappointed me a second time and I won’t let there be a third time. A waste of space on my phone. We're really sorry that you haven't had a great experience with us. The app is free to download and we do offer basic editing features with a free account. This includes a handful of filters, all of our editing adjustments, and a handful of fonts + text styles. The premium upgrade will give you full access to ALL of our editing tools and filters, including our beauty tools section. In order for us to offer the app without any external 3rd party ads, we've integrated a subscription model. We apologize if you aren't satisfied with the free features on the app and hope that you see the value in upgrading to a premium subscription if you're looking to edit with our premium features. However, I will share all of your concerns with the rest of the team, we always appreciate feedback from our users - and we are always trying to improve, so this kind of feedback is really important for us. If you have any further questions, concerns or even more feedback - please do not hesitate to contact us at instasize@munkee.co as well. Honestly I love using this app! It gives me the option of using soo many things for free! I would however love if their were more backgrounds available... for example like a birthday background or a celebration background for those special pictures that you want to post about someone else's birthday or even yours! THAT WOULD BE AN AWESOME BACKGROUND!! Keep up the good work! I do love that the creators of this app took my advice on adding Birthday backgrounds that you can customize and new backgrounds for certain holidays. I’m disappointed that they took that and decided you can only add those certain filters if you pay for the app for every month or if you do the trial. I remember that you used to be able to download them and use them for the holidays and they would disappear after a certain time. Oh well. As much as I love this app because it’s so easy to use it looks like I might need to look into a new app for my pictures. It was good while it lasted. Thank you for considering my ideas though. It’s nice to know that their are people that listen to one persons feedback. If you go in to 'manage' by the end of all filters, make sure that your favorite filter is checked, if it's not, it won't show up on the filter tray. If you still can't find it - please send us an email to instasize@munkee.co, so we can take a closer look. Have a great day! Over 100 filters & tools. Updated monthly.